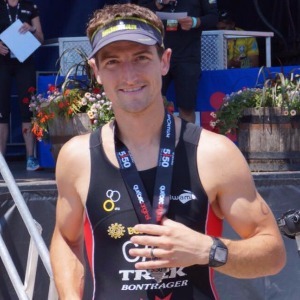 I am an endurance coach specializing in cycling and running for multisport athletes. I live in the Ottawa, Canada and operate both from home and out of Iron North Studio in the west end of the city. I'm looking to guide athletes both locally and abroad who are willing to put in the effort to achieve their goals. I'm a firm believer in training with purpose. You will never have a workout from me that doesn't describe the 'why' behind it. You'll always know what you're doing, and how it will benefit you on race day. My background in engineering results in a very analytical and systematic approach to training, the focus being on several key workouts each week with ancillary support workouts to compliment those 'key' days. Training zones are established and utilized throughout your training program and re-tested regularly to align with your personal progress. I'm a husband and father and understand that life happens. My approach is to incorporate training into your daily life so as to provide as little impact to your daily schedule as possible. As long as you're willing to work I'm ready to help you reach your goals! Success. Coach Adrian Barber has been notified of your message.